Stevie Stone’s Rollin’ Stone served up some mean bangers, but it was an unexpected collaboration with Peetah Morgan of Morgan Heritage that brought together two different worlds and gave listeners one of the album’s standout cuts. Backed by raw energy and a feeling of revolution, “Oneness” featured Peetah Morgan on the hook for an explosive meeting of reggae and hip hop. Looking to get an inside perspective into the making of “Oneness”, we spoke with the famed frontman and asked him to share his thoughts on Stevie Stone and the track that introduced reggae to Strangeland. How did you come to appear on “Oneness”? It came about through a mutual friend. The production team named Basement Beats, Koko is a good friend of mine, as well as Stevie Stone’s friend. He brought it together. He sent me the track and asked me to put something on it that represents me and my culture. He heard it and loved it. Stevie Stone mentioned that you recorded it in an impressively short amount of time. Do hooks come easy to you? Yeah, well, Koko and I have been working together for about three or four years. So when he sends me a track, the music already talks to me. When I first started working with him, he said the same thing, “Wow, I can’t believe you turned it around so fast.” Coming from Jamaica, and doing the type of work that we do – so much music comes out of Jamaica. So you get tracks from producers and you have to make sure you’re on top of your game. It’s that type of vibe where you hear a track and something just comes to you. It’s second nature to me because of the way we’ve developed in music. Oh, it’s beautiful man. I was pleased with it. He’s a very talented artist and I love the album actually. It was just great to be a part of his album. Have you done a lot of work with hip hop artists? Not so much, but Koko and Basement Beats, they’ve kind of brought me into that arena. I admire hip hop artists in every sense, but I haven’t had the pleasure of doing much work with them. I hope to do more work with hip hop artists in the near future. What do you think about the relationship between reggae and hip hop? Ah man, it’s an honor for me to be a part of the record. Reggae and hip hop music go hand in hand. The cultures are very similar. The backgrounds of the artists are very similar. The sound all comes from one, it’s African vibrations. We relate to that musical connection we have. For anyone who enjoyed you on “Oneness”, what other tracks or albums from you can they check out? Well, I’m from Morgan Heritage and we have a whole host of albums from Don’t Haffi Dread to More Teachings to Full Circle. There’s a lot of albums with the group. As Peetah Morgan, a solo artist, I have been doing a lot of stuff with a lot of different producers out of Jamaica and Basement Beats here in America. 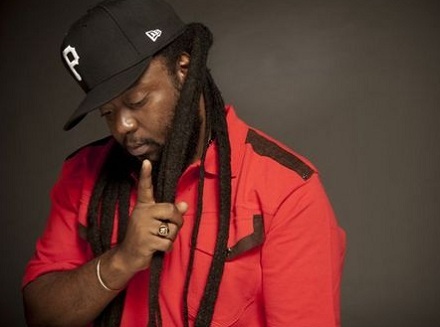 I have a lot of music online, you can check me out as Morgan Heritage on iTunes or Peetah Morgan on iTunes. Be sure to follow Peetah Morgan on Twitter: @PeetahMusic and visit http://iampeetah.com/ for tour dates and music! What did you think of Peetah Morgan’s performance on “Oneness”? Would you like to see him do more work with Strange Music?